In Cop Hunt Budapest police is investigating a series of ritual murders. The cops, exhausted by the investigation, are both the hunters and the game – all victims of the gruesome murders are police officers. In such stressed situation they are not entirely happy to be joined on the case by John Holdon, the newly arrived Interpol agent and expert in serial murders. 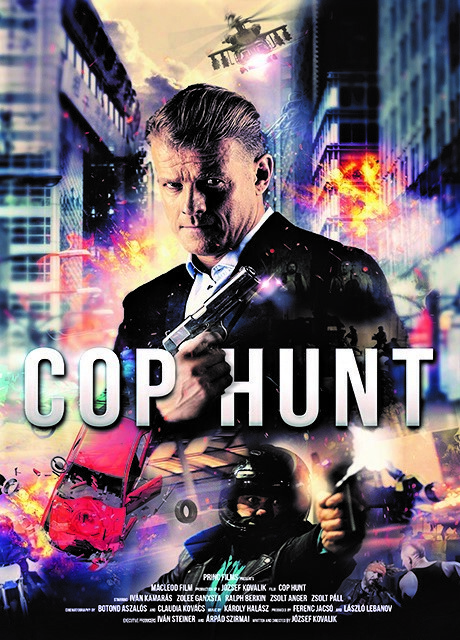 Through rivalry and cooperation, Holdon and homicide Detective Captain Rezes are both desperately trying to find the killers.